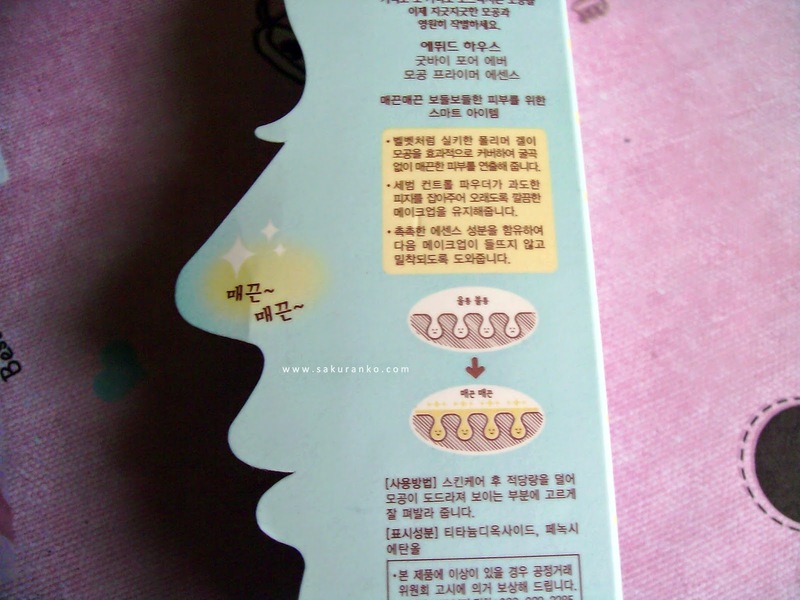 (｡･о･｡) Some months ago I received this product with my ETUDE HOUSE Wonder Pore Freshner (｀･ω･´)ﾉ This is one of the lines that caught my attention as it relies on the care of the skin and enlarged pores. 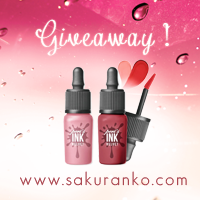 （＾ω＾） I usually use very small amounts of first because only I want to make my makeup last longer than usual especially in very hot days. 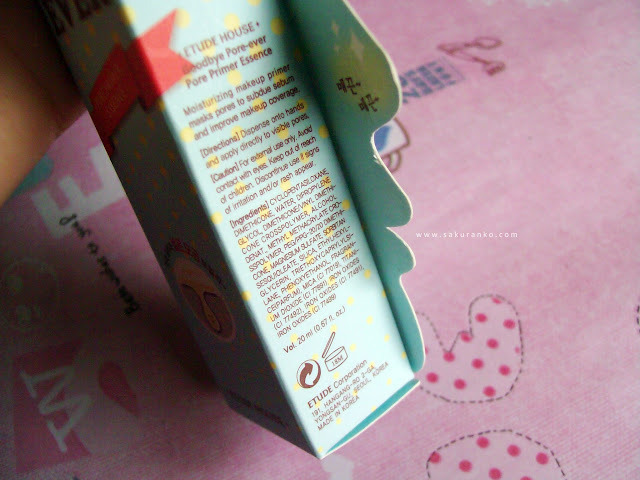 ♦ Packaging: It is a simple box with a small tube inside. The tube has a red cap and has small yellow dots.  It's a light blue color very simple but pretty. The dots remind me that all this collection is designed to pores. ♦ Price and Quantity: （￣ー￣） The price I think it's the thing less reasonable for the size and quantity. This product brings 20 mL and is not that great either and the product costs $ 17 with shipping included. It is much smaller than it looks in the pics. ♦ Fragance and Texture: The fragrance as it really is quite neutral, has a slight smell like glycerin cream. The texture is a light cream, very soft and not at all sticky and absorbs fairly quickly. - It has a neutral scent. 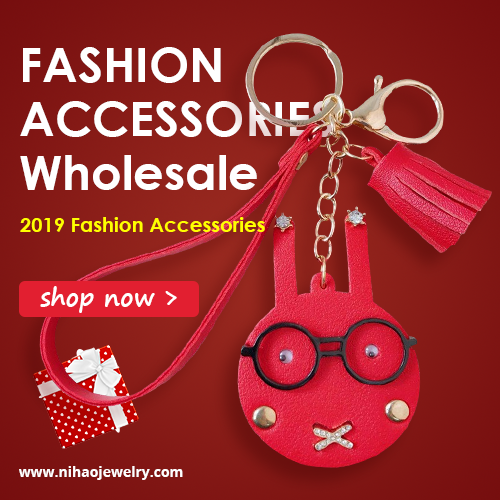 - You only can buy this product online on many countries. 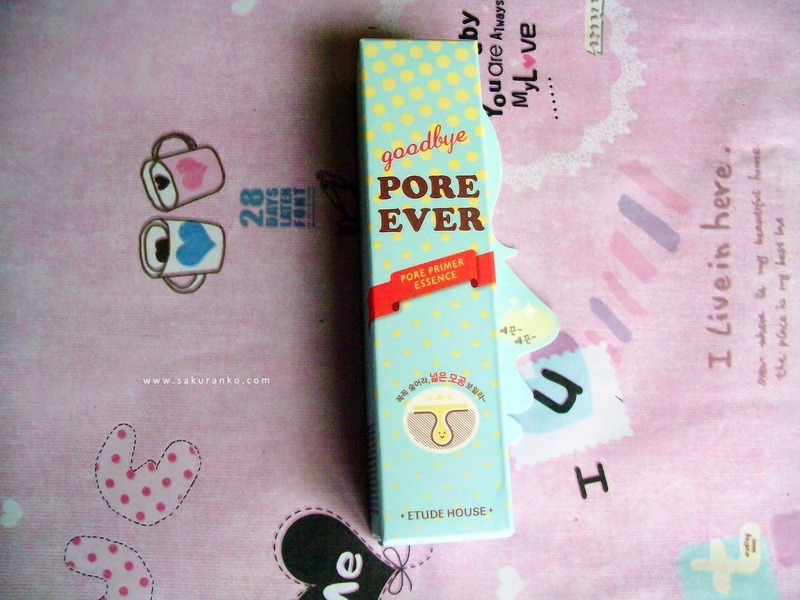 - Not reduce the size of pores. - It's expensive for the amount of product. - Not keeps the foundation for longer. (=￣▽￣=) I would like to say that this product fulfills all its promises but not true. I tried this first because supposedly reduced the size of the pores. But as you can see from the picture of before and after there is no noticeable difference in my pores. 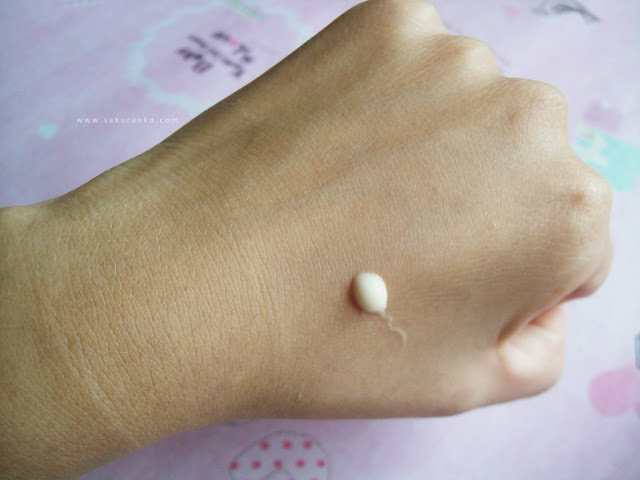 （￣へ￣） Just leave my skin a little more smooth and absorbs quickly. But that's not something my daily moisturizer can´t do easily. 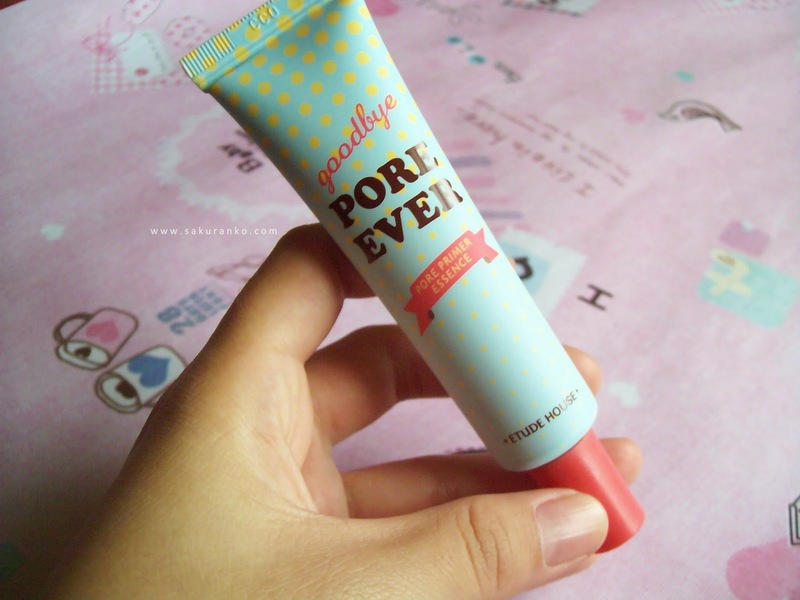 (-_-メ) I chose not buy again, because for how small it is and how little effective than is quite expensive. "My Etude House House Magic Tint Balm Giveaway"
it does not look too different after the application. I also hate this primer! It does not do a lot for your skin!! And that's very pricey!! 17$????? Omg! Great review nice to know that Im not the only one disliking the product! 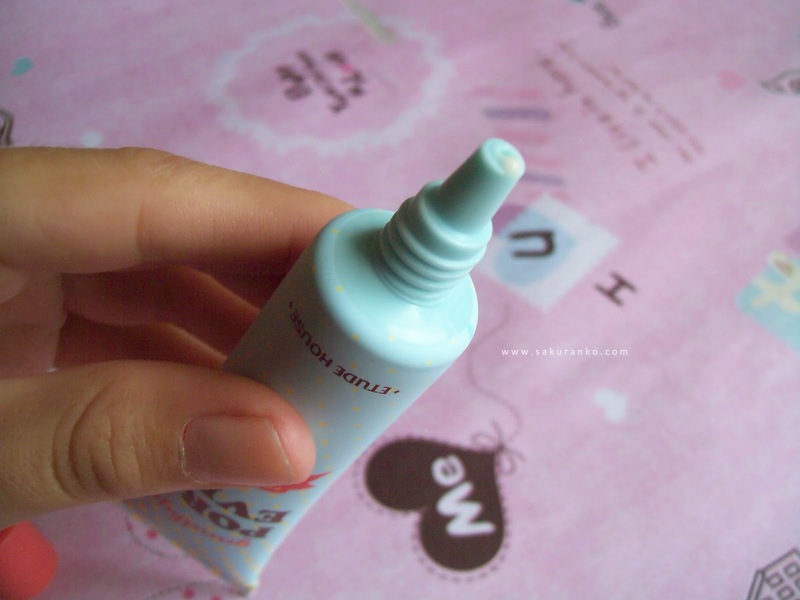 well, it's very expensive & with super tiny amount .____. 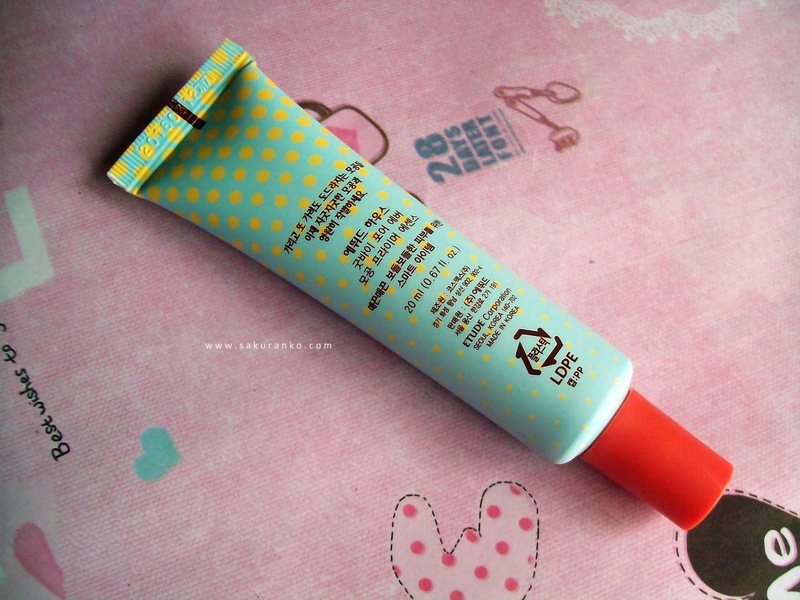 but you can use holika holika pore stem cover balm as cheaper alternative, it can cover pores a little bit and works well as primer. que mal que este no funcionara como el tónico, entonces gracias por el review, definitivamente este no lo compraré!! Great Review! sad the product wasn't able to live upto the claim. good review. Too bad they did not give good results. The packaging is so cute and funny. Thank you for reviewing this! That's a shame it didn't work! Thanks for warning us though, I was actually looking at this one...mainly because I like the packaging ;) but I think I'll leave it now! Thanks for your honest review. I have to say the packaging is really cute though. Thanks for the review. I was hoping this would be a new HG product for us girls with large pores, but I guess not, too bad :-) I love the name and the packaging though. uh. i dun see the different. i already mark into my note. I was actually going to buy this, thank you for the honest review! Oh, too bad it's just full of promise. You doing great, I hope? I'm sorry the product didn't work for you. ohhh sad but thank you for your very honest review.. I've seen this in a lot of blog posts lately and their posts led me to believe that they really made your pores look smaller!! wahhh I will definitely not be purchasing this thanks so much!!! Great review. Too bad that this product didn't meet your expectations. 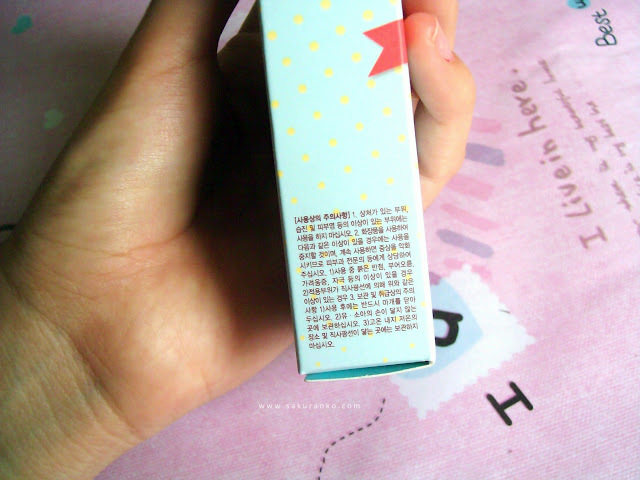 It's quite pricey too but at least the packaging looks cute. Eh, sounds like a pass to me. 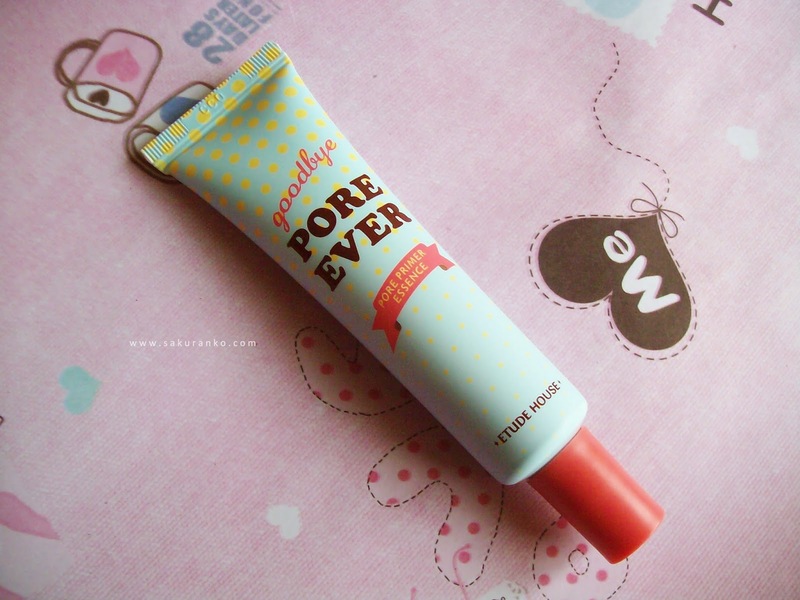 Great review - I would recommend Benefit's Porefessional which I find does the trick for enlarged pores and smoothing everything over. Sorry to hear this didn't work out for you! I've been looking for something to reduce the size of pores but no luck, too bad this item doesn't either! 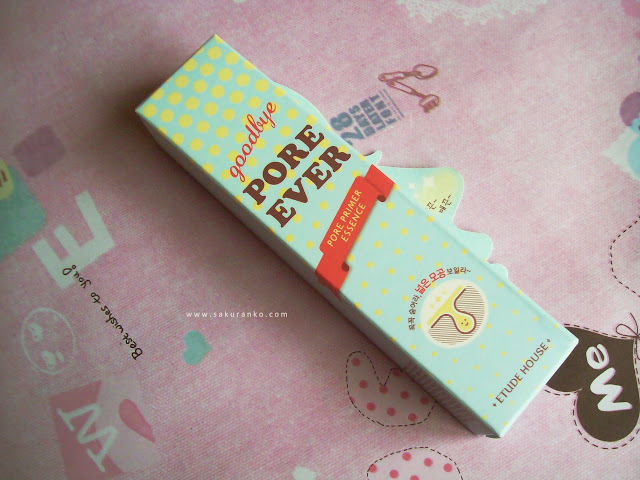 I do loveee the packaging on this though!! Thank you for this review ! Too bad about this product, thanks for the review! great post! I usually really like the primers from Etude but this one let me down a bit! the pores continue manly the same size and barely hide! Hope you visit me again. I was going to buy this product but I'm having second thoughts now.